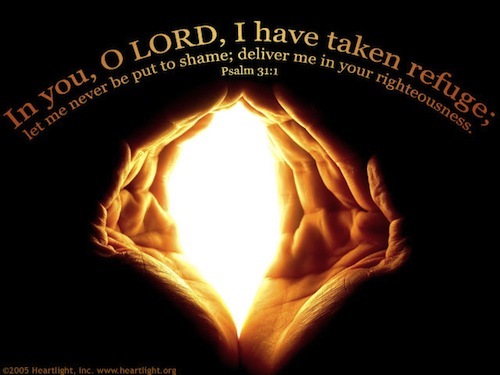 Psalms - Psalm 31 verse 1 is such a powerful start to this powerful Psalm of David's - "O LORD, I have come to you for protection; don't let me be put to shame. Rescue me, for you always do what is right." In your life today, do you need protection from something? If so, will you run to God for your protection? Do you believe that God can rescue you? Do you believe that God can save you from shame? Do you believe that God always does what is right? Did you catch that verse 5 from this Psalm were Jesus' last words on the cross.... "Into your hands I commit my spirit." 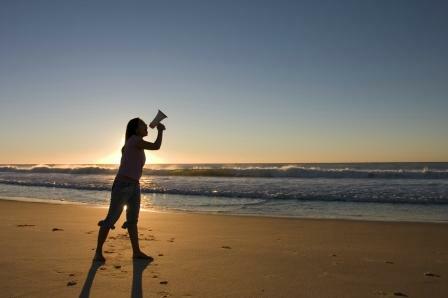 (NIV) Here it is from Luke 23:46 - "Jesus called out with a loud voice, "Father, into your hands I commit my spirit." When he had said this, he breathed his last." 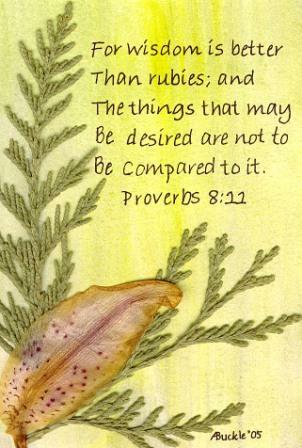 Proverbs - I love the beginning of Proverbs chapter 8 with the imagery of Wisdom calling out to all humankind! Do you hear the call of wisdom in your life today?? Prayer Point: Pray that you would choose wisdom each day in your life, over money. Pray that growing in the wisdom of the Lord would be more important to you than climbing the corporate ladder. Comments from You and Questions of the Day: Based on Proverbs 8:10-11 above, Are you seeking God’s instruction in your life above all else? Do you agree with this Proverb that wisdom is far more valuable than riches? Is reading the Bible each day this year adding to your wisdom? Are you seeking to do more than just read the Bible this year? Are you diving into further study of the Bible? Are you allowing your study of the Bible to transform you? Are you allowing the Bible to change how you think, act, and live? Are you allowing the Bible to give you godly wisdom? Will you accept God’s free gift of Biblical wisdom each and every day of your life? Also, what verses or insights stand out to you in today's readings? Please post up by clicking on the "Comments" link below! 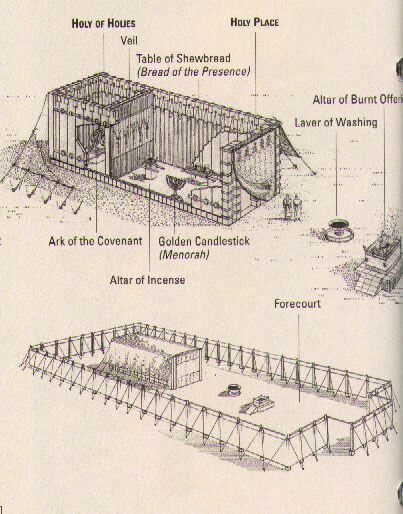 I believe the Tabernacle represents not only the Body of Christ, the Church, but Christ’s Body as well. I’m not sure how the construction and the furnishings actually match up to the Body, but I have this strong sense that everything, even the placement of the furniture and utensils is represented in the Church and in the New Jerusalem. 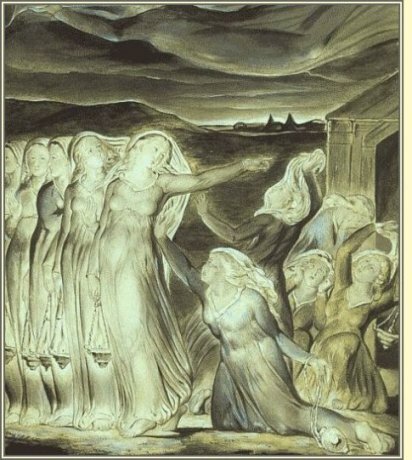 The Parable of the Ten Bridesmaids/Virgins amazes me that five women would carry lamps and not have oil to light the lamps. To me that is like carrying a purse with nothing in it, which would make the purse/pocketbook a matching accessory holding nothing of value. If the Kingdom of Heaven is like that then the ramifications and illlustration to us are tremendous: are we for show, carrying the illusions of readiness or are we well prepared for the long haul? 1) The “Master” was hard. 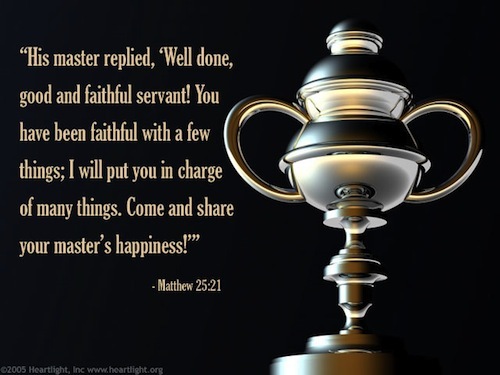 2) The “Master” was a thief. However, the Master called him plan old lazy after stating that he was wicked. 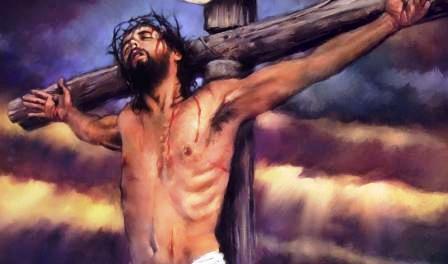 That I believe was the real reason for God taking away what He had. He didn’t understand or refuse to give the proper value to what was given him. Each was given “gold” according to his ability. Comments/Q.O.T.D: I am seeking Gods instruction every day-- Don't want to neglect what should be 1st in our life. Wisdom is far more valuable- You can't live for self and money and feel complete-you just can't--Reading definitely helps me gain wisdom-Yes, I seek to read more in depth-pray more-mentor others - love harder - I am doing two bible studies- is it easy? No, I am up earlier- losing sleep so to speak but feeling complete. YES the Bible is transforming me- making me think- yes I am making contentious decisions and not running off at mouth but being quick to listen, slow to speak.